It was bound to happen. The Arizona Coyotes finally showed some offense and they did it against the best team in the East. 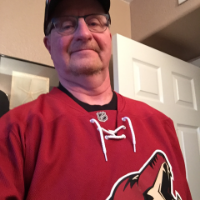 This writer predicted that a good six-goal game would get the Arizona Coyotes out of their offensive doldrums... well, they bettered that by a goal and showed the Tampa Bay Lightning what it feels like to be thumped. Taking a three-goal lead in the initial period was signs of good things to come for the Desert Dogs as they came out firing at former Coyotes' goalie Louis Domingue. What Domingue didn't know is that he should have signed up for combat pay as the opposing Arizona players were bombarding him furiously and without a cease-fire in sight. They scored three goals on five shots to make the Lightning look up to the scoreboard wondering if they were in the correct city and arena. The Coyotes aren't that good... are they? They certainly were in this game. Jordan Oesterle led off the scoring barrage at the 6:55 mark with a shot from the left point that found its home behind a screened Domingue. As mentioned previously Clayton Keller is a streaky scorer, and he registered his fifth goal in five games after not scoring in the first five contests. The opposing teams might take note... when Keller gets hot, he equals the desert sun heat and there's not much you can do about it. He has a wicked wrist shot in his offensive arsenal and he planted one in the twine here to give the Yotes a quick 2-0 lead just 1:56 after the goal by Oesterle. In a pretty passing play, Derek Stepan tallied his first of the season at 12:57 to give the Coyotes a commanding lead after one period 3-0. Stepan has been stymied repeatedly this entire early season while accumulating 27 shots on goal and only being successful 3.7 percent of the time. He blistered a bullet past the helpless Domingue as Stepan broke down the weak Tampa Bay defense and was wide open for an easy goal. You might say all that offense which was not being shown by the Arizona club came out in one game, but the 13,623 fans weren't upset by that at all. The next scorer for the Yotes was Vinnie Hinostroza, who gathered his third goal on a rocket of a shot past Domingue who didn't have a prayer. With additional playing time Vinnie is getting some golden chances and he's taking advantage of them. 4-0 Arizona and Tampa Bay looked like a tired, defeated team. When the Coyotes acquired Michael Grabner they knew he was a goal scorer, but now they also know he's an awesome addition to the penalty killing unit. He and Brad Richardson are often out there killing off penalties and lately they have scored some short-handed goals to show their chemistry. On this pretty goal, Richardson does a toe drag like he's going to shoot the puck, but plants a perfect pass on Grabner's stick who shot a knuckleball type shot by not getting all of it... but tonight it was the Coyotes' night, and it still went in. Puck luck, you can't beat it. 5-0 Arizona after two periods, and Tampa Bay is wondering how much longer the torture must go on. This time Grabner decided to do it all himself on a gorgeous entry on the left wing and as he skated closer to the net the more ice room he was given. Of course, with his speed, you must respect that he can blow by you with the greatest of ease. He did, and the Coyotes accomplished that well-needed blow-out game by scoring six unanswered goals and embarrassing the Lightning. 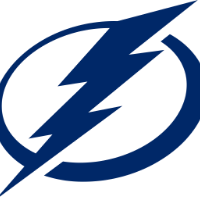 The Lightning did get a goal, which was contested to be an offside play by Coyotes' head coach Rick Tocchet and rightfully so if you watch the replay. You will see that the Tampa Bay player on the left wing did not clear the zone before the puck was brought in. The goal was very freaky as it was a floater of a shot which Antti Raanta never saw as it deflected off of Adam Erne. The last goal was scored by Richard Panik who had been a healthy scratch for a couple of games and he finally joined the scorers in this laugher of a game. He did a spin around shot which found its way in behind Domingue... again to end the massacre. This could be the game which helps the Arizona Coyotes on their way to show they are a playoff contending team. It's still early and anything can happen. The play in goal and on the defense has been stellar all season, and now that the offense has decided to show up there is room for some optimism which wasn't there at all this early last season. For those of you who suffered through the terrible start last year where the team didn't get their fifth win until game #23 on November 20, 2017, this is something special to cherish. The team has won three straight games and if they continue playing as well as they have recently, the pieces will fall into place for them to be a competitive team who has a shot at the playoffs. They are doing very well... indeed. 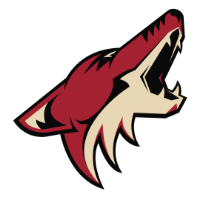 What were your impressions of this lopsided game by the Arizona Coyotes? Have they finally figured out how to score goals? Let us know in the comment section below, and make sure to give us a follow on Twitter (@VAVELNHL_ENG) for more updates!